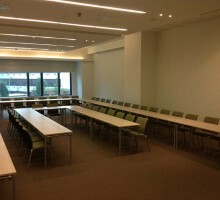 Ljude (people) hall is located on the southwest side of the congress center, it is rectangular and its size is size of 148m2. 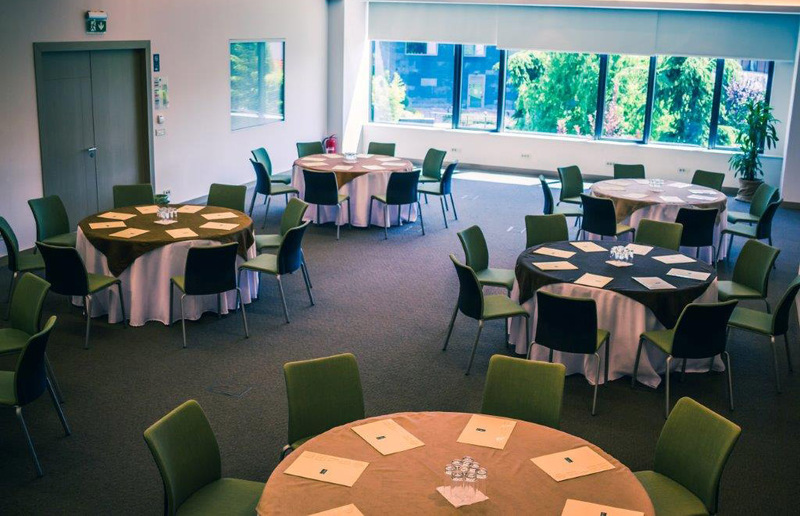 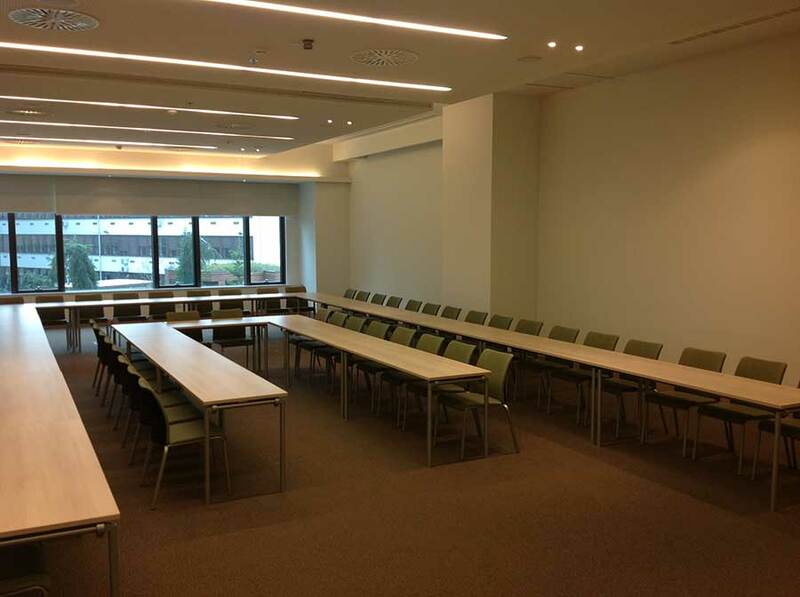 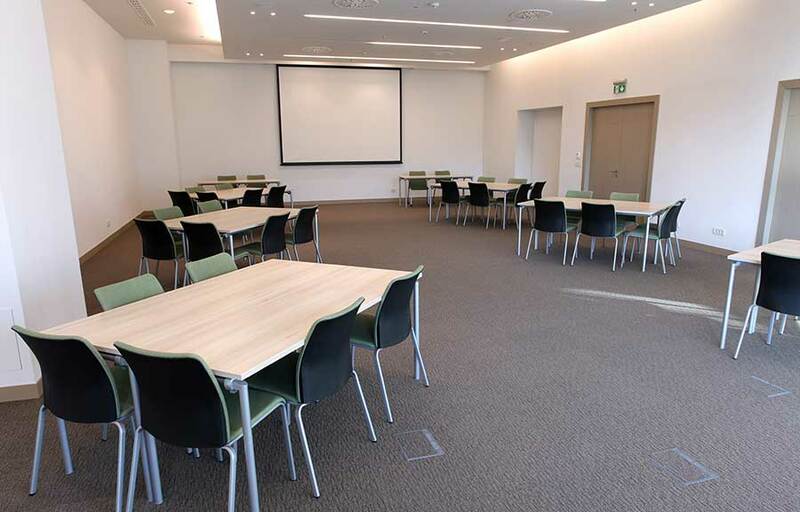 Ljude is great for somewhat larger groups and workshops or smaller conferences, because it can be easily converted into a classroom or an auditorium auditorium display, and there are large windows on its southern side. 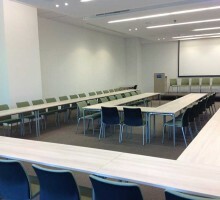 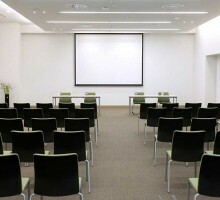 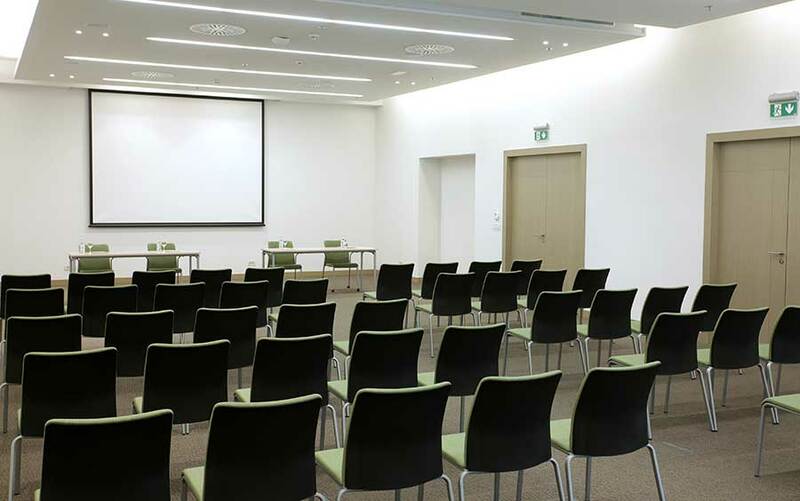 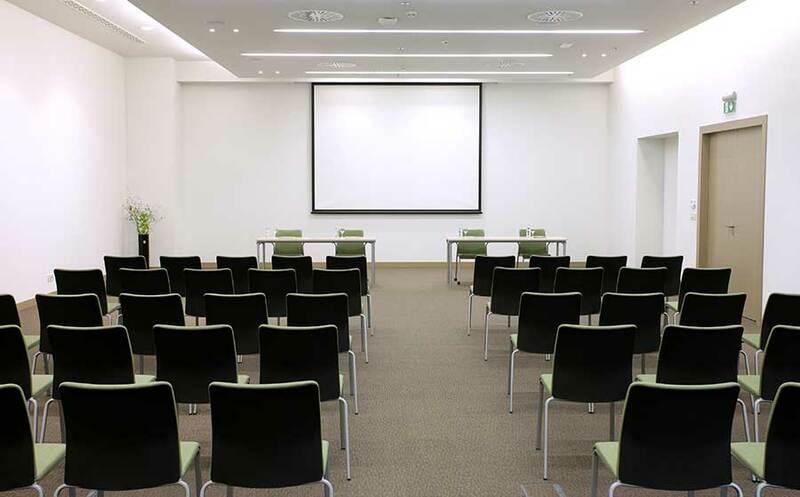 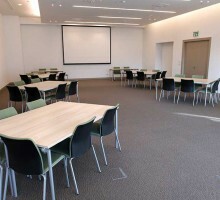 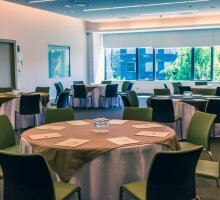 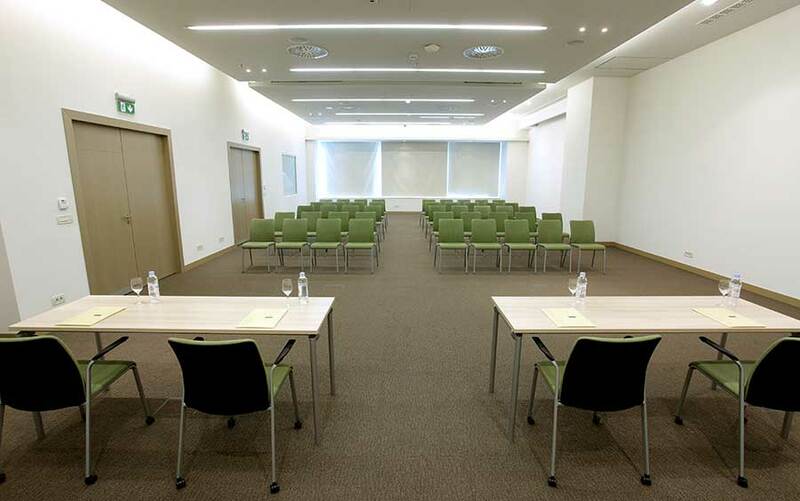 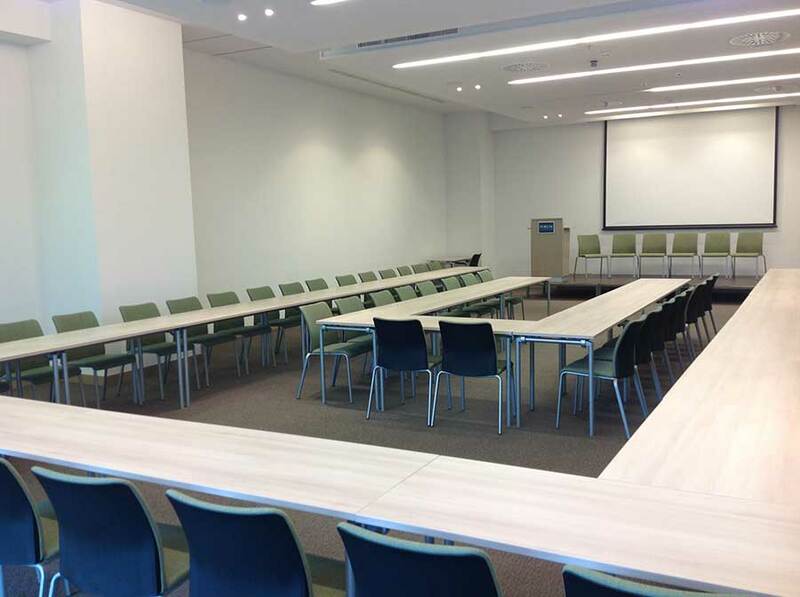 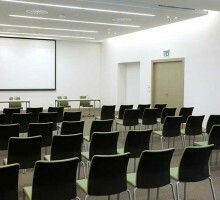 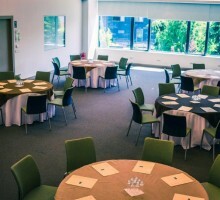 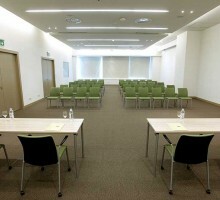 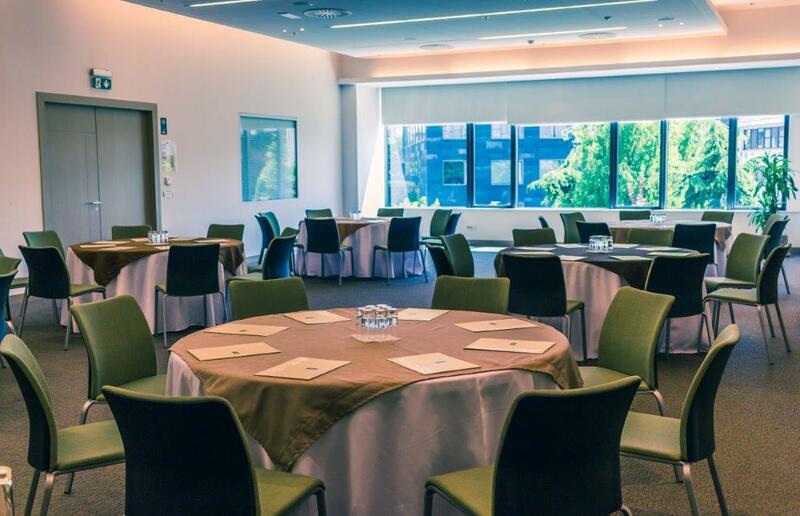 Depending on the requirements of the event, it can accommodate from 45 people in U shape, up to 138 people in auditorium setting.